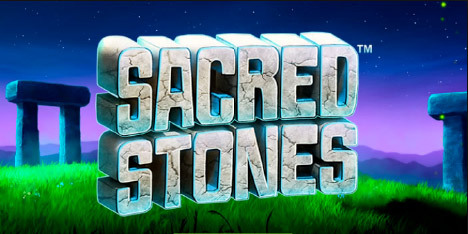 Fly Casino is pleased to announce the arrival of Sacred Stones! This new 5-reel, 20-payline game comes with a Collapsing Reels feature whereby multiple wins can be gained on a single spin. During a winning combination, winning symbols explode and vanish. The remaining symbols then drop into the spaces left by the vacating ones – repeated wins can be gained on each spin. Wins can be from RIGHT TO LEFT and LEFT TO RIGHT. The game play is smooth and symbols on the reels are eight different gem-type stones, you’ll notice the wild symbol is the stone with the ‘W’ on it and that can be stacked on the third reel. To the right your screen is a stone pillar. If you win 5 in a row, the free spins feature is triggered. An indefinite amount of free spins can be won with re-triggers. PLAY IT TODAY AT FLY CASINO! 110% Up to $220.00! From 00:00GMT until 23:59 GMT, all members on their deposit of $/£/€30 or more will receive a 110% bonus up to $/£/€220.00.